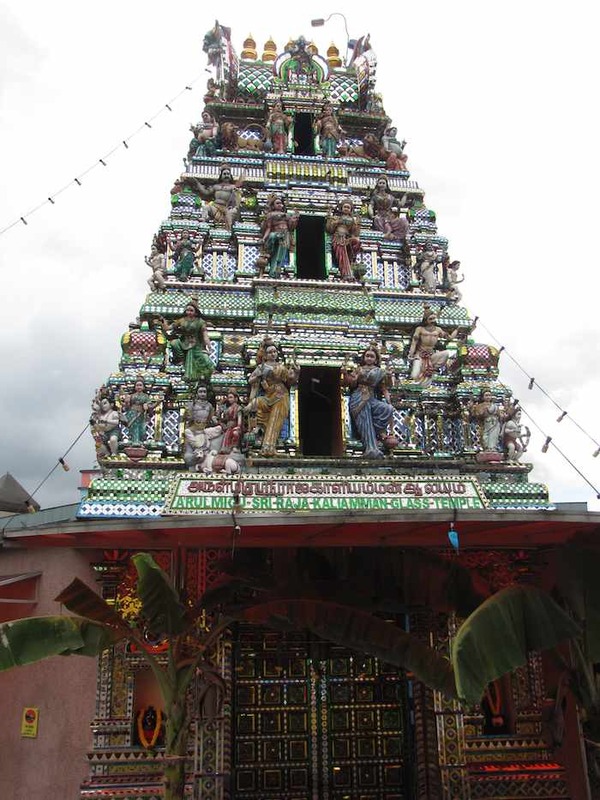 The Arulmigu Sri Raja Kallamman temple in Johor Bahru (CBD) is an Indian temple with walls covered in glass tiles. This Hindu temple is located in the Central Business District of Johor Bahru. It is a very interesting and beautiful temple. 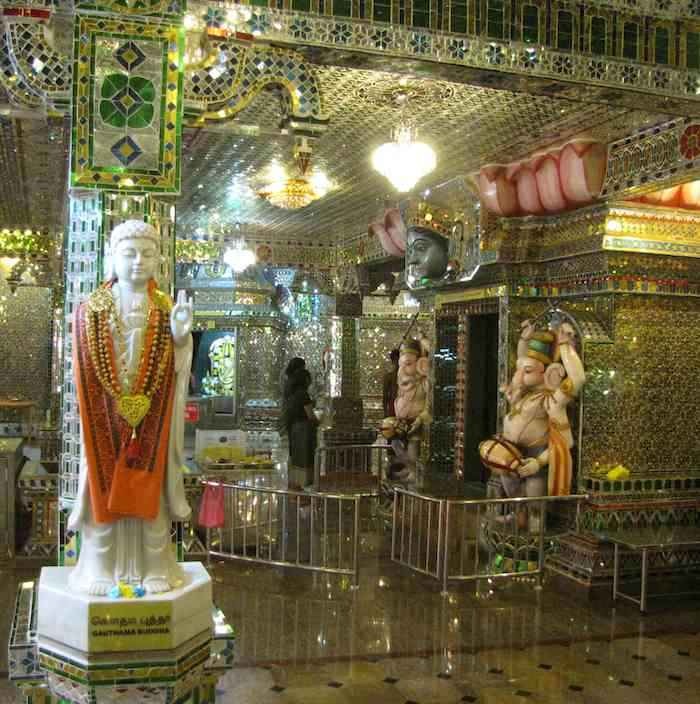 The temple actually was first established in 1922 but the current glass temple was completed in 2009. Over 95% of the temple is embellished by a mosaic of 300,000 pieces of red, blue, yellow, green, purple and white glass. The centrepiece in the Athma Lingam sanctuary is a lotus for Lord Shiva, on which devotees can pour rose water and perform their prayers. Johor Bahru is not well known as a tourist spot. I think this temple is a great idea for tourists looking for something to visit in Johor Bahru. It likely won’t take more than 30 minutes, but it is quite captivating and offers something to remember for Johor Bahru. Village Briyani Indian Restaurant and Danga City Mall are quite close. If you time your visit close to lunch time I recommend eating lunch at Village Briyani (it is walking distance, but a bit confusing to find so make sure you have a clear idea on your map of where it is located – you can call and get directions I would think).